The teaser video shows a bunch of real people who are not actors describing what's wrong with current tablets and what their perfect tablet would look like. 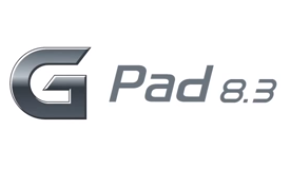 Their descriptions could apply to pretty much anything that isn't an iPad (including the Nexus 7 and, let's face it, every smartphone with a screen five inches or larger), but the selected quips give us a few hints at what the new G Pad will feature. The screen will obviously be 8.3 inches, something that should be a crowd-pleaser, if our informal poll is anything to go by. The teaser also heavily implies that the resolution will be Full HD (1080p). Aside from a brief mention of a smart TV function, which seems like a no-brainer considering LG's TV business, there's not a lot else to go on. It will be interesting to see if LG shoots for the stars with high-powered hardware like the new G2 smartphone, or takes a more cost-effective approach, a la Samsung's Galaxy Tab 3 series. There's no indication of when more details are coming, but I'd be very surprised if LG doesn't show off its new toy at IFA in early September.